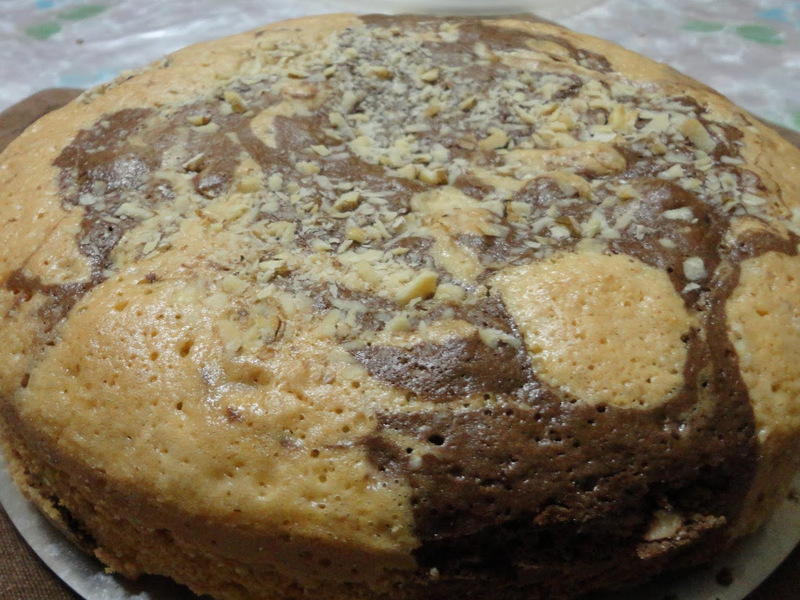 When I had started baking few years back, marble cake was one of the first cakes that I had baked. Before I had baked it, I reckoned it to be a very difficult recipe but once I started, it became super easy. I have added walnuts to the original recipe and it was such a big hit during my bake sale. So please find below the recipe and do try it out. 1. Beat butter along with sugar. Add an egg to this mixture. Mix it well. Now add 1 cup of flour and mix well. Add another egg and continue to mix. 3. Dust the walnuts with flour and add to the cake mix. 4. Add baking powder and mix it well. 5. Now divide the cake mixture into two equal portions. Add Cocoa powder to one portion and mix it well. 6. Dust your cake tin (9”) with flour and preheat the oven to 200 degrees. 7. Now alternately put a layer of the cocoa cake mix followed by the plain cake mix in the cake tin. 8. It takes normally 30-40 min in a normal oven at 200 degrees for the cake to be baked. Do check by putting a skewer in the middle before taking out the cake if it’s thoroughly cooked.